A company controlled by Tony Cho sold two properties in Wynwood for $6.1 million, more than triple the last sale price in 2014. County records show Wyn 560 LLC, which is controlled by Cho, sold the buildings at 560 and 566 Northwest 29th Street to Carol Invest USA. Corporate records show the buyer is managed by Emanuela Verlicchi and Carolina Marazzi of Miami Shores — the same Italian family that owns Al Capone’s former mansion in Miami Beach. The seller had started remodeling the buildings, built between 1951 and 1970, and secured permits, according to a Metro 1 spokesperson. Property records show the parcels last sold for $1.68 million in 2014, which marks a 263 percent increase. The 12,000-square-foot property sits on a 14,000-square-foot plot. Cho, founder and CEO of Metro 1, represented the seller while Francesca Rinonapoli of Keller Williams represented the buyer. 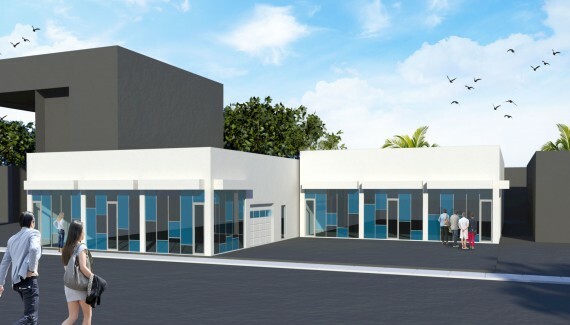 In November, the buyer, Carol Invest USA sold two connected warehouses in Wynwood for $11 million. Wynwood has drawn a slew of investors in recent months. Last fall, a slate of changes to zoning and land use designations allowing for denser residential developments on roughly 205 acres in Wynwood went into effect. And just last week, real estate investor Sam Herzberg paid $22 million for an entire block at 210 Northwest 22nd Street and 201 Northwest 21st Street.